13 Wonderfully Weird, Creepy Museums To Visit Around The U.S.
What do fish tanks, earrings, mineral displays, license plates, and disco balls have in common? One might ask this question in search of a theme linking the pictorial subjects of Melancholy and the Infinite Salads, Rachel Schmidhofer's first show at Glike Gallery. However, their apparent inconsistency is a clue to greater coherence. 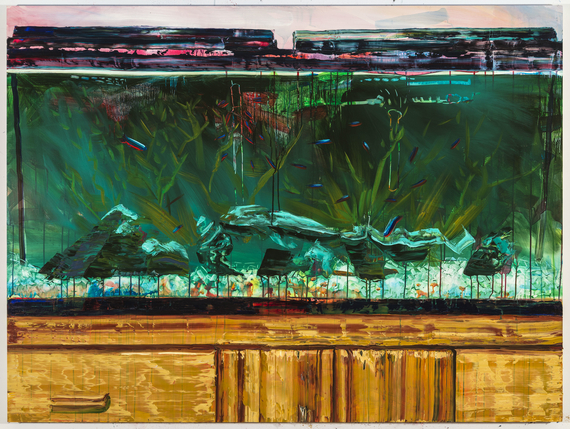 Schmidhofer's paintings exude ambivalence for society's complex manifold of items and information, buoyed by optimism for painting's power as a medium whereby selected cultural fragments can be filtered and re-classified into new systems of significance. "Everything in the world is an awesome thing to paint, except when everything in the world is just clutter and meaninglessness," the New York-based artist says in a statement included in the gallery press release. 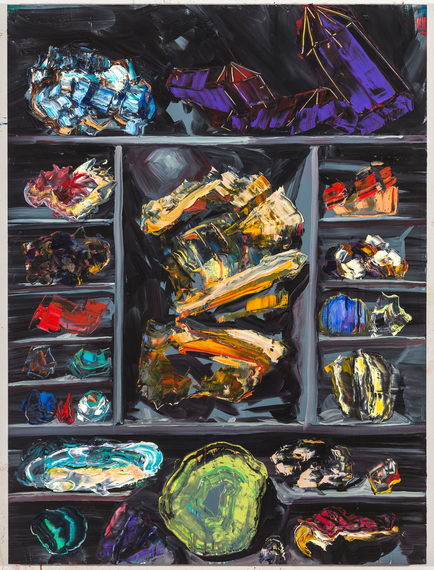 "The casual arrangement of objects on a table, a specific jewelry rack amongst a thousand googled ones, a license plate from a state out west--otherwise unconnected, when looked at in the right way and at the right time, incite feelings of excitement, like I've just been let in on a secret. "When I paint I'm looking for that feeling. Searching for that secret in the debris." Rachel Schmidhofer, "Singles and Pairs," 2014. Oil on panel, 20" x 24." Image courtesy of Glike Gallery. In her paintings, that ineffable feeling suspends at the crux of timelessness and evanescence, oscillating between shimmers and shadows, materializing in tenuous glimmers of specificity that are in danger of disappearing into miscellanea. Schmidhofer's pictures appear as wistful efforts to savor transient moments of clarity and save them from subsumption. Hung side by side, "Shadows" and "Here" evoke this transience. "Shadows" shows a dim cabinet rendered in broad gray strokes, its contents illegible in the dark. "Here": the title indicates presence, the fact that the gems in this painting are visible, lit to resplendence in a natural history museum-style display. Rachel Schmidhofer, "Shadows," 2015. Oil on panel, 40" x 30." Image courtesy of Glike Gallery. Rachel Schmidhofer, "Here," 2015. Oil on panel, 40" x 30." Image courtesy of Glike Gallery. Minerals arranged in curio cabinets suggest agelessness owing to the incalculable age of stones and the ancient tradition of exhibiting them. Geologic specimens defy the effects of time, yet their coruscant beauty is transitory inasmuch as it only exists under specific conditions. Rocks must be cut and polished to reveal their inner transparent color whose effulgence, in turn, depends on certain illumination. Each sparkle is precarious. Schmidhofer crystallizes these instants in paint while acknowledging the futility of such an undertaking; perhaps this is the origin of "Melancholy" in the show's title. 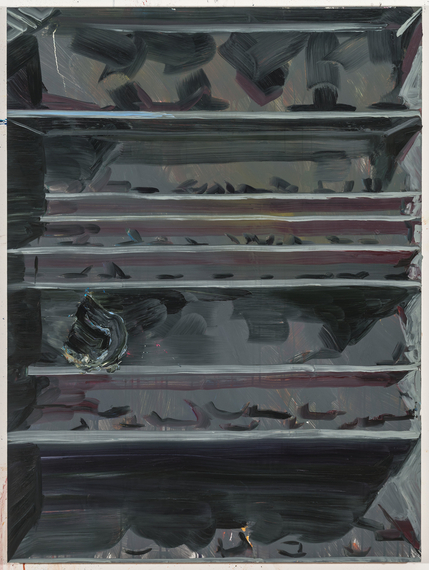 Like geologic exhibits, paintings rely on conventions resulting from historical precedent. Like the minerals themselves, paintings are potentially long-lasting; but their significance depends on optimal display, the conditions of which are difficult to achieve. Artistic context--historical, critical, and financial--constantly changes, rendering success elusive. A geode's glitter seems fresh, distinct, striking; then it's gone. Flashes in the pan are all too common in art worlds. 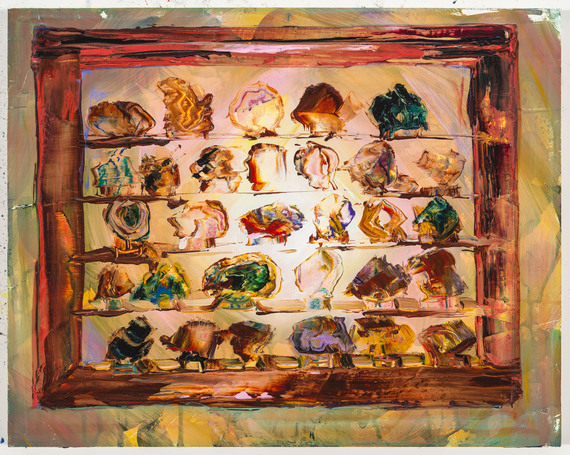 Schmidhofer's likening of art exhibits to displays of crystals, fish, and jewelry is reinforced by her paintings' similarities to their predecessors. French painter Alexandre-Isidore Leroy de Barde was known for painting minerals in the early 19th century. Schmidhofer's mineral paintings are remarkably correspondent to his in composition and format--some, in fact, are identical. ("Here" is a copy of de Barde's 1813 "Minerals in Crystallization.") Schmidhofer's paintings are reductive compared to de Barde's renderings of exhibits in scientific detail. De Barde's picture gets lost in translation, just another subject for Schmidhofer to make her own. By innovating his painting, she restores it to our zeitgeist while declassing it to the level of the rocks that he originally painted. 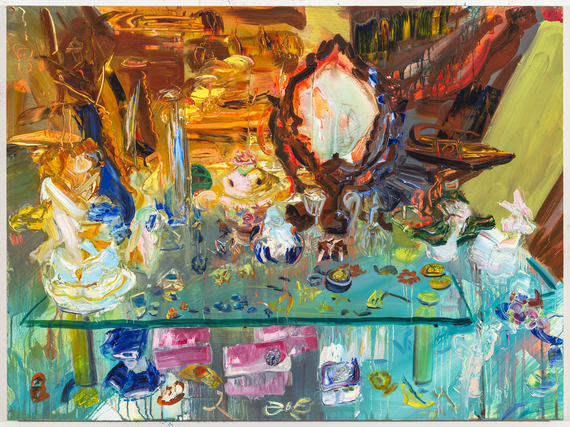 Schmidhofer's painterliness conjures Karen Kilimnik and Rosson Crow, sometimes Josephine Halvorson. Halvorson paints directly from observation, whereas Schmidhofer's sourcing of pre-existing imagery is more aligned with Luc Tuymans. Materially, though, Schmidhofer's vision is original. 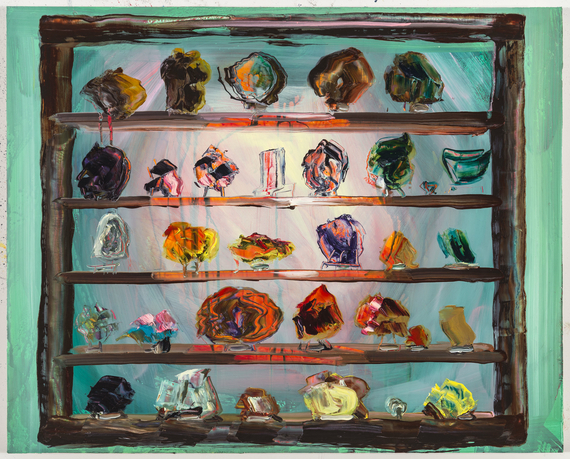 Her paintings seem to emit a diffuse glow like the shiny objects they depict. Forms emerge through sophisticated yet idiosyncratic looseness. Facets of amethyst are carved with a palette knife. Bright neon under-painting shines through Gerhard Richter-esque smears of variegated jewel hues. Up close, points of paint peak to and fro as if dancing on a floor of flowing trickles and aggregate brushstrokes. Though intricate, the portrayed objects defy representational logic, floating within encompassing structures. Rocks liquefy, dripping onto shelves below. In "Neons," an aquarium and its supporting bureau are contrived as elaborately as the fish inside. Schimdhofer's emphasis on cases and shelves alludes to the correlation between depicted framework and rectangular canvas. Like other prized entities, paintings are collected, categorized, and connected by way of interpretation, curation, and explanation. Rachel Schmidhofer, "Neons," 2015. Oil on panel, 45" x 60." Image courtesy of Glike Gallery. "Eons" depicts a display table scattered with indistinct items. The setting is indefinite. Perhaps it's a thrift store. Maybe it's a fading memory, or a nearly forgotten scene shimmering into recollection. This painting evokes the sensation of being overwhelmed by miscellany at a thrift store or a museum. Everything coalesces into indifferent haze; one doesn't know what it all is, where it came from, or where it's going. Suddenly, one begins to sense the ponderous continuum of time represented by the assortment. In the context of eons, the current moment seems, paradoxically, at once dizzyingly monumental yet absurdly insignificant. Past permeates present, coloring it with dread of the current scene's future as mere memory. 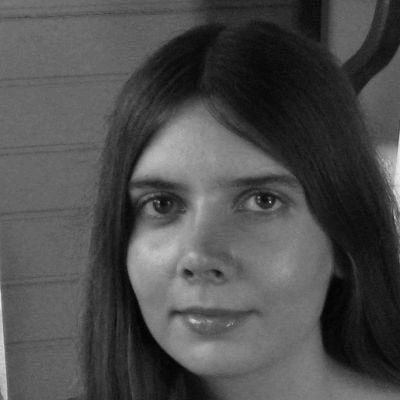 Rachel Schmidhofer, "Eons," 2014. Oil on panel, 30" x 40." Image courtesy of Glike Gallery. Origins are slippery, difficult to trace. Schmidhofer conflates art historical paintings and images found online with her own professed interest in the items they portray. She doesn't quite let the viewer in on the secrets she mentions. Her cryptic statement and romantic titles don't reveal the sources of her imagery. ("Prelude" and "Sunspot," for instance, were apparently painted from a photo on a display cabinet purveyor's website.) That denial is germane to her paintings' tantalizing visual qualities and their content. Still, one wonders how much richer her work could become were she to approach her compositions as inventively as she applies paint. It would be easy for a painter as adroit as Schmidhofer to get comfortable and settle into a groove. As with any other artist, the question remains: What's next? Rachel Schmidhofer, "Prelude," 2015. Oil on canvas, 14" x 18." Image courtesy of Glike Gallery. Rachel Schmidhofer, "Sunspot," 2015. Oil on panel, 12" x 15." Image courtesy of Glike Gallery. "Melancholy and Infinite Salads" is on view until May 17 at Glike Gallery, 5890 Blackwelder St., Culver City, CA 90232. For further information, see glikegallery.com.